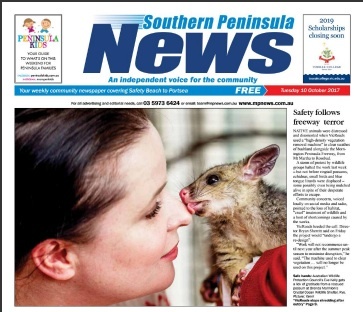 The Australian Wildlife Protection Council were very busy last week trying to put a halt to clearing on the median strip of the Mornington Peninsula Freeway. This vegetation is home to wildllife including possums, nesting birds, echidna and reptiles. We were outraged that VicRoads used a ‘forestry machine’ to clear everything in it’s path and that the works commenced in Spring when birds are nesting. VicRoads had already cleared a large area but we managed to stop the clearing going any further. 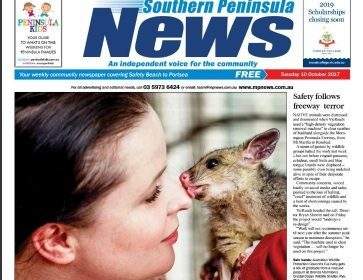 Although a lot of animals were displaced, injured and killed, we are thankful that VicRoads listened to our (and other’s) outcry and ceased the project. Thanks to Klarissa Garnaut at WHOMP, Brenda Marmion at Crystal Ocean Wildlife Shelter, PLAN and everyone else who helped, contributed and gave us the support we needed to speak out!